Women In Retail Leadership Circle | Join Us at The FQ Lounge at Shoptalk! Join Us at The FQ Lounge at Shoptalk! 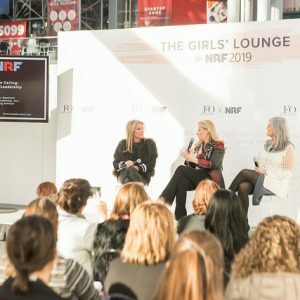 A few weeks ago I mentioned that the Women in Retail Leadership Circle will be back at Shoptalk this year, partnering again with The Female Quotient to produce The FQ Lounge, Home of Equality @ Shoptalk, a welcoming and interactive space for women to come together, network and learn from each other. Are you going to Shoptalk? If so, make sure to stop by The FQ Lounge. Register here first, please! Congrats to Chico’s FAS! Greetings From Miami! Summer Time, Summer Time, Sum-Sum-Summertime Get Ready for Girl Talks!